Yesterday, when the 2DS was first announced, some outlets made sure to tell folks that it was not, in fact, a joke. But it kind of sounded like one, right? Enough that it shouldn't be surprising that someone predicted something much like the 2DS years ago—2011 to be exact—as an April Fools joke. "Folks, be ready to be amazed. Not shortly after Nintendo released the Nintendo 3DS, they have dropped another bombshell. It's soon to be the age of the Nintendo 2DS," David Murnan wrote on RF Generation, right before presenting the mock-up you see above. "Face it, 3D was so 2010. You know that, I know that, and certainly Nintendo knows that. That's why we have been graced by this announcement. The Nintendo 2DS offers to provide the best that a 2D Dot Matrix can provide," he jokingly continued. Obviously, not a serious post...and yet you can't help but chuckle at how accurate even just the mock-up is, no? 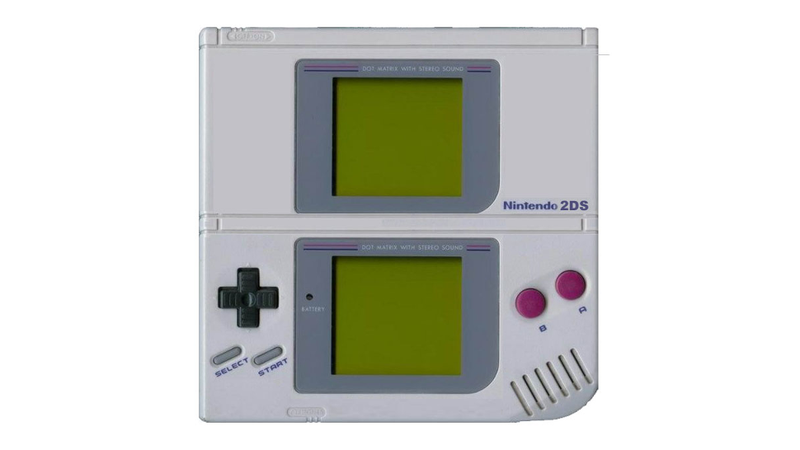 Compare to the actual 2DS; it's not an exact-exact match—the colors are different (it's Game Boy themed) and the placement of the buttons is slightly off—but still close enough to raise eyebrows, yeah? Goes to show...maybe we shouldn't be so sure the absurd ideas people come up with on April Fools could never be a reality!